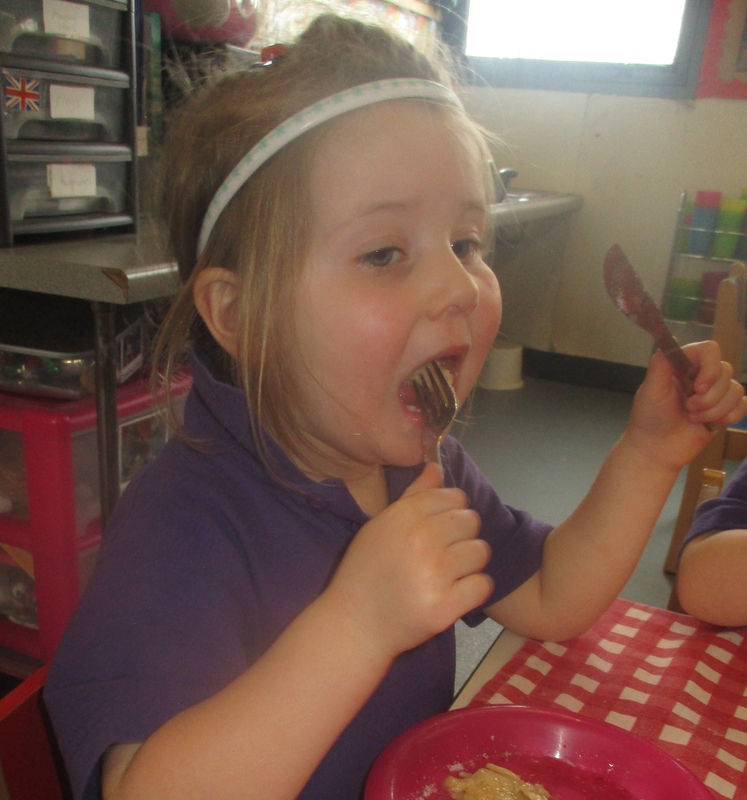 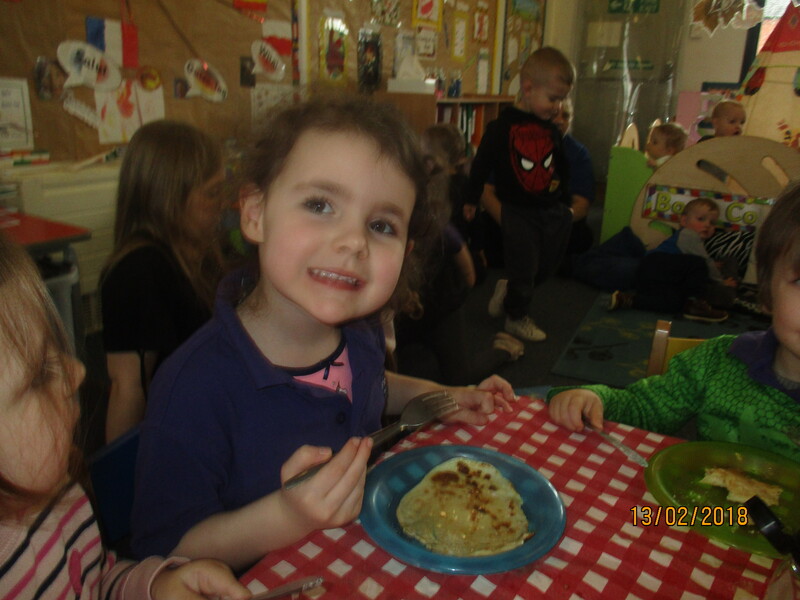 To celebrate Shrove Tuesday also known as pancake day we made our own pancake batter. 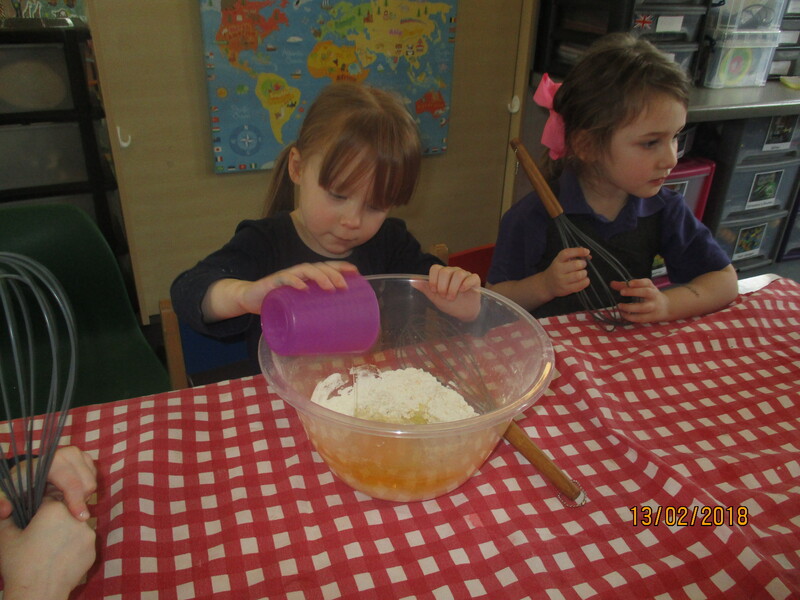 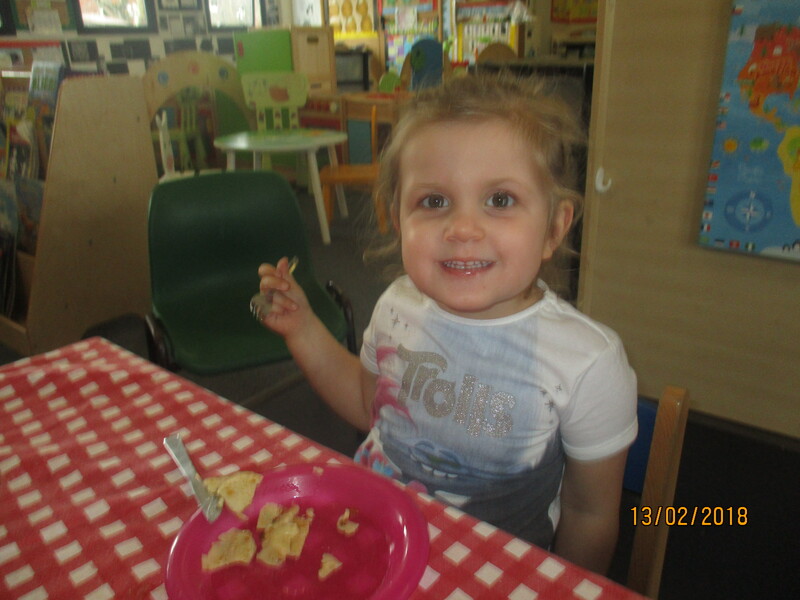 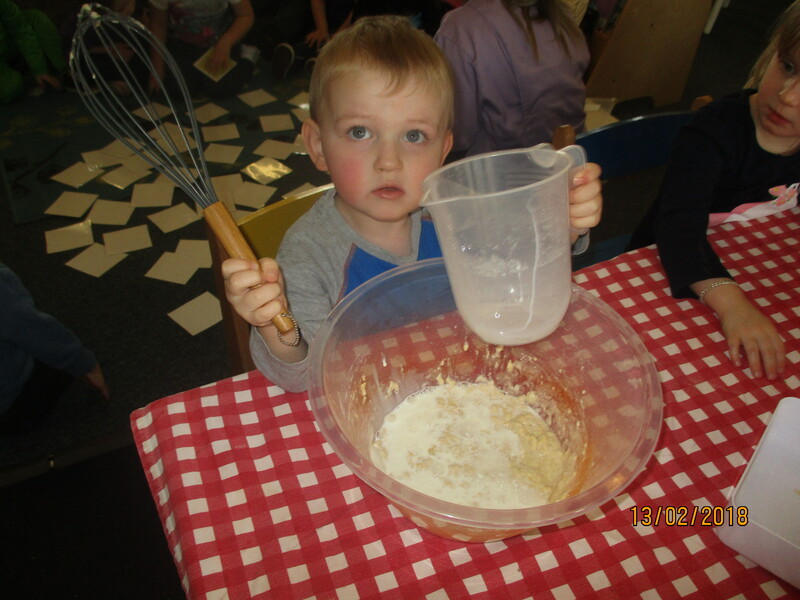 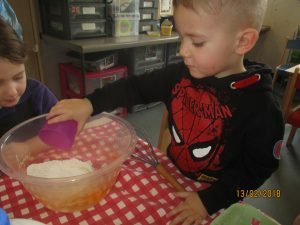 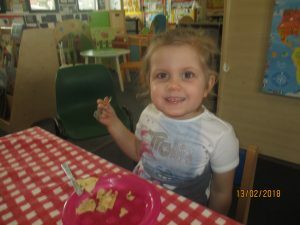 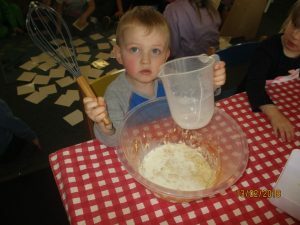 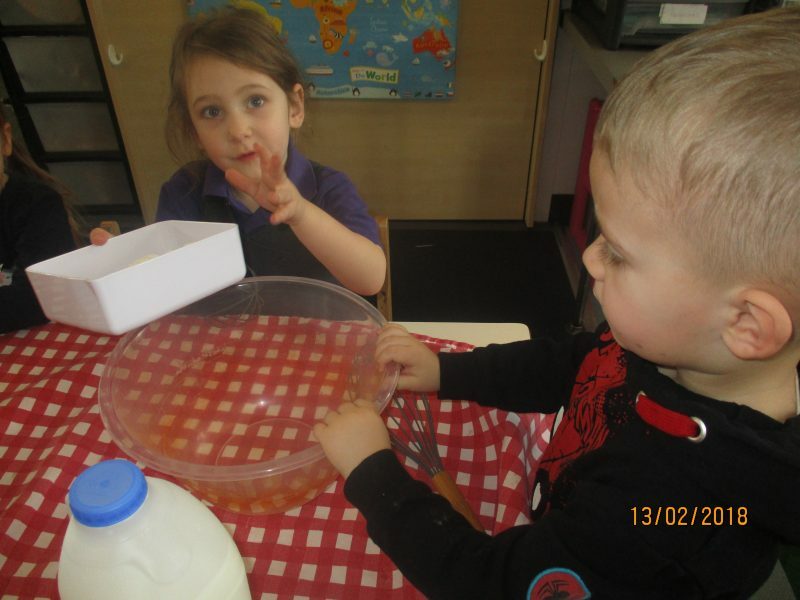 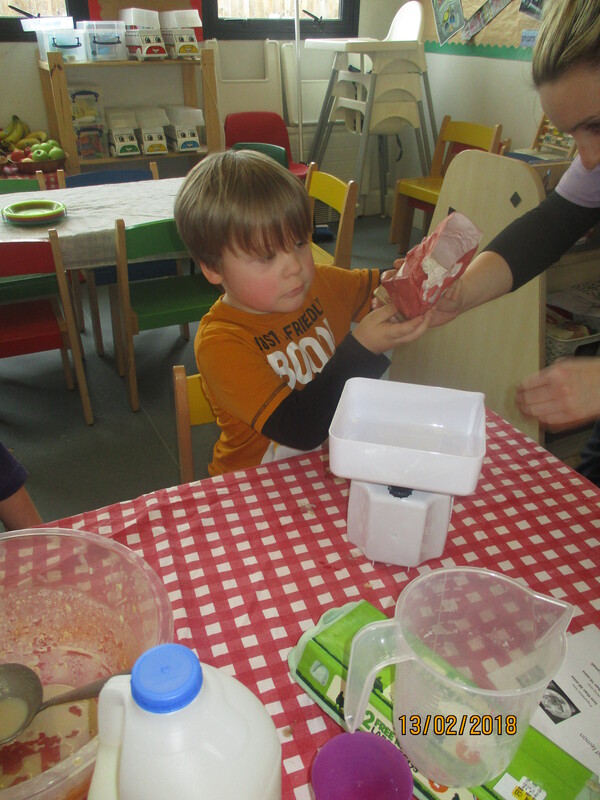 We looked at our recipe and spoke about what ingredients we needed and set to work to measure them counting our eggs and measuring our flour on the scales and our milk in the jug, we encouraged early mathematical skills through counting and recognising numbers on different equipment through a fun learning activity . 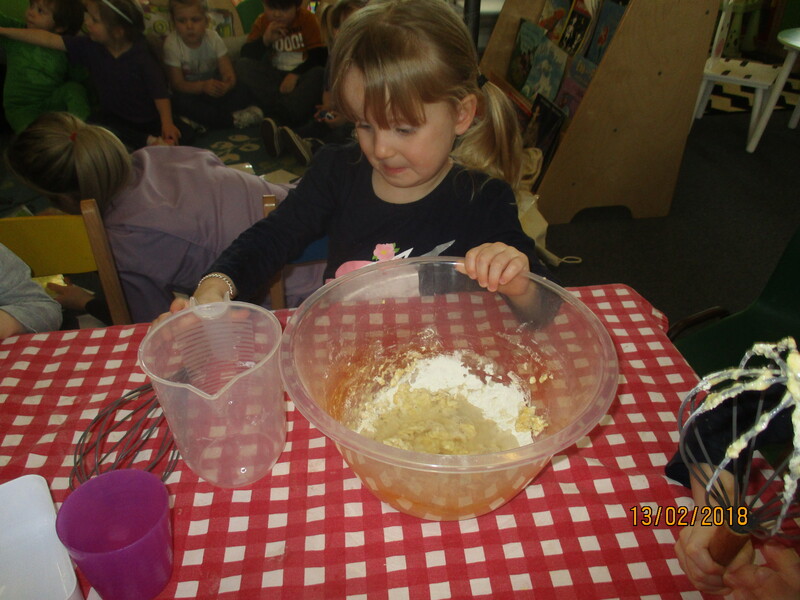 The children all set about mixing all the ingredients together to create our pancake batter. 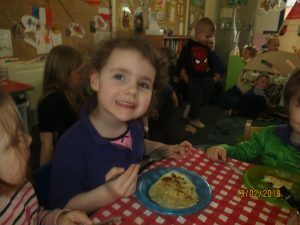 Once we had cooked them we had our homemade pancakes for our mid afternoon snack with a little bit of Honey.. These tasted yummy!